hmmm .. there are so many to choose from, what do i do? So .. you have survived the first few months of your newborns life, you have been bombarded with ‘must have’ products for your new arrival, some are instant buys (well it seemed a good idea at 2am in the morning, lol) and other things need a little more time and thought … sensible to wait until you feel like you can run a brush through your hair without disturbing a funky sick smell! Today you have managed your first full cup of (hot) tea / coffee or maybe gin (no judging here), you have lots of memories, lots of clothing and no idea were to start looking for a precious keepsake … hooray, you have come to the right place, let us walk you through what you REALLY need to consider ..
Firstly and MOST importantly you need to keep in mind that this purchase is going to be a one time purchase that you want to keep forever. Prices are important but should not be your focus, did you buy the cheapest cot / pram etc. these things will be outgrown .. your keepsake will be treasured always, and become more precious as they years go by !! My Ooo Bear have heard many stories from heartbroken families who have had their memories ruined in a poor keepsake. Too many times we have been asked to ‘fix’ their memories and make them special again. I can not stress enough that it is unlikely that you will be able to have another keepsake made from the left over fabric, or if your keepsake is made poorly and has to be sent to someone else to be ‘fixed’ it is doubtful that the keepsake will contain enough of your most precious fabric to make a completely new memory bear. as I had only been able to salvage enough original material to make the arms and legs of a beautiful Ooo Bear. Additional fabric was needed to make the head and body meaning a lot of the 1st precious fabric had been ‘wasted’ by an inexperienced company. 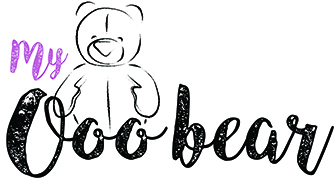 Luckily, our lovely customer had kept a few items back when she had her first keepsakes made because she couldn’t part with them originally, but after researching us was thrilled to have them added to her Ooo Bear, and was over joyed with the outcome. Experience: In the past two years there seems to have been a bit of a boom in people ‘thinking’ they can make keepsake bears which is fabulous for people looking for a product because it gives lots of variety .. but please be careful. There is a vast difference from company to company with regards experience. When My Ooo Bear was established back in 2013, there was very few people in this market, very few people had heard about memory bears as the industry was fairly new. Today however, you can find them all over selling sites, offering discount prices, special deals and multiple buys – be wary, there is advertising and then there is desperately seeking work, often with stolen photos on their Facebook pages. Ultimately you are looking for someone to take your babies / loved ones clothing and see the magic that lies inside the fabric, someone with very special artisan skills, and knowledge about the materials needed to protect and reinforce your fabric, someone that ultimately owns their work and openly discusses with you both its limits and beauty. Quality: Experience is a big factor in quality. Please, please look back through a companies back catalogue .. ask to see previous work, and zoom in on pictures (very important). When zooming in on a keepsake, take a look at the seams (these should be double / triple stitched for security), are they stuffed smoothly or are they wrinkly? Clothing is made to be clothing, not stuffed with stuffing so the fabric needs lining with a good quality interfacing. This means that the interfacing takes the strain of the stuffing allowing your delicate fabric the extra strength and support needed to last a very long time. This interfacing also means your keepsake can be stuffed well and smoothly – we don’t like lumpy bears at My Ooo Bear, lol. As owner of My Ooo Bear I can say, with total conviction, that I love being asked for examples of my work and wish everyone could see and hold an Ooo so that they can not only feel and see the quality but also how perfectly unique each one is with individual personality, beauty and magic, all dressed up in treasured memories. Communication: Contact your chosen companies and see how they respond. Here at My Ooo Bear we know how precious those items of clothing are and we know how important it is for you to trust someone with your special memories, so make sure you ask all the questions you can, talk about your clothing and your expectations, discuss any concerns or ask for a special request .. a reputable keepsake company should be as patient as you need them to be and totally understanding of the need to ask LOTS of questions. A good keepsake maker will also love all of these snippets of information you pass on to them as for us, it helps us understand the memories and know just how important the stories within the fabric are to you. To Conclude, A good keepsake maker should treat your clothing as if they were their own, they should make every fabric placement, every stitch as if it were their own memories they were sewing. At Ooo Bear HQ we have been known to look at clothing for hours before making the first placement. Getting it right is so important to us and trust me there have been many tears shed over how we will get all of the memories included – all of this just goes to show how much we really truly care. Your keepsake should become a special part of your family, bringing so much love with them as you share each section of fabric with your children who shaped the memories held in your heart, whilst also letting you travel back to those precious moments when you brought them home smelling of scrumptious cookies and love. Never underestimate the power of being able to feel and hold our memories – Let me leave you with one of mine ..
“I made a quilt for my son, Buddy. When the weather gets colder and the nights darker his quilt comes downstairs while we snuggle up to watch a movie or play a game. Buddy always moves the conversation around to his quilt, as he asks where each fabric was from, who gave the clothing to him and when he wore it and why I used it in his quilt. My son is only small and we have honestly had so many conversations about it while we snuggled up on those cold wet nights. It is always on his bed, and always close by and is my favourite most precious item I have ever made (next to my children of course)”.